The times he actually has to fight he often have the entire situations planned out well in advance. Arakasi is a very patient combatant, taking in every detail of his opponent’s strategy and abilities, and is a genius at determining an opponent’s capabilities and preferred method and when it comes to form strategies and methods to better combat a particular opponent. He’s very quick at adapting if something unforeseen would happen that would ruin his plans however it rarely does. He also never shows any sign of alarm or distress and keeps calm in the harshest and toughest situations. Tattoos/scars he have tattoos on his left and right arm. Clothing: Appears to be wearing a black turtle neck with a white dress shirt over it the shirt has a golden rimed collar, the gold trim is also going down the front of the shirt. There are at the collar on both sides small swirls of gold that come out of it, Two brackets come down and fasten the collar together but connected to them is a blue gray string. from the string hangs a crystal that at each end is incased in gold wire to hold it in place. The sleeves of his shirt are black but seem to fade to grey the sleeves come to a black point ending just where his fingers begin. On top of each sleeve there is 2 thin sky blue belts whose fasteners are a gold color. The right sleeve appears to have a vine pattern traveling down it the meaning of this only Arakasi knows. He is also wearing a white vest the vest has a trim sky blue in coloring and looks like it comes to for a belt of the same color. On the right side of the front there is what looks like a vine pattern. A simple white cloak hold together by buckles that’s easy to remove so the cloak wont be in the way in combat. It will completely cover his face and body and hide his reiryoku/reitsu. Arakasi was born in the soul society to the name Fujisen Arakasi the second born son of a noble family, his mother died giving birth to him and his father was a harsh and strict man so Arakasi was basically raised by his older brother, Haji. Haji was born prodigy a brilliant scientist and incredible fighter he could rival a captain of the gotei 13. Haji learned his younger brother everything he knew and it was soon proved that arakasi was very intelligent and shared his brother’s interest for science, and haji even told him that he wouldn’t be surprised if he surpassed him one day. Even at that young age Arakasi excelled at Kido and Haji encouraged him. At the academy the teachers immediately noticed what arakasi father and uncle had that he had a natural talent for kido. He also showed great skills when it come to shunpo he did however lack Greatly when it come to zanjutsu. arakasi spent almost all of his spare time in the libraries in soul society reading or at the mansion with his brother training and by the time he graduated he was atleast a decent zanjutsu user. He left the Academy with top grades in only two years time. he joined the 4th squad where he after being there for three years became a ranked officer due to his great kidou skill he had quickly learned how to use healing kidou. It was also shortly after he joined 4th squad he learned his zanpakotus name which further increased his powers and let him access shikai. After releasing his shikai once and nearly kill a comrade he swore to don’t use it again until he mastered it. Every day every chance he got he did go to some private place to train and to communicate with his zanpakotu spirit and mastered his shikai in a surprisingly short time. After mastering it he became a seated officer shortly after. He was in 4th squad for over two decades. Learning many healing kidous and developed a few kidou of his own, both healing and more offensive and defensive ones. After being there for so long he felt that he had emptied the possibilities that 4th could offer. During his time in 4th squad he also joined the kidou corps. He went to the captain and asked for a transfer and for a letter of recommendation. She said she had noticed that he seemed restless and that his personality wasn’t really fitting for a healer. Using that and showing his skills as a inventor he got a place in the 12th squad. He spent many years working there. While he was a part of 12th squad he helped in creating many new inventions and did even invent some for his own personal use. Despite him being a good invention it was soon evident that his true skills lay with kidou and as such he once again transferred squad this time he transferred to the 5th squad. He quickly became a seated officer based on his earlier resumes and his vast kidou skills, Most probably thought he would get special treatment since he was the nephew to the current 5th squad captain they was wrong as the matter of fact the captain was even harder on arkasi than on the other squad members. He meditated each day to materialize his zanpakotu spirit and succeeded in achieving bankai, giving him access to even more abilities. He was promoted to lieutenant and later captain for the 5th squad when his uncle retired. After being captain for about 3 years all changed. A shinigami approached him notifying him on that his brother had died probably murdered. To uphold the stability and balance he was asked to take over as the leader of the fuijinsen family. It was soon evident that he really hadn’t got the proper education on how to run a noble house but as the advisors soon noticed he was a quick learner. In only 4 months time he had learn almost everything he needed to know to rule the fujinsen clan He was also introduced to a proper fiancé for a arranged marriage that would benefit the fujinsen family a girl named Elena at first things dident work out for them but the more they meet the more they realized that they liked each other and it wasent long before they could be seen together almost wherever they did go everything was well. The affairs of the clan bloomed under his ruling he had a fiancé. 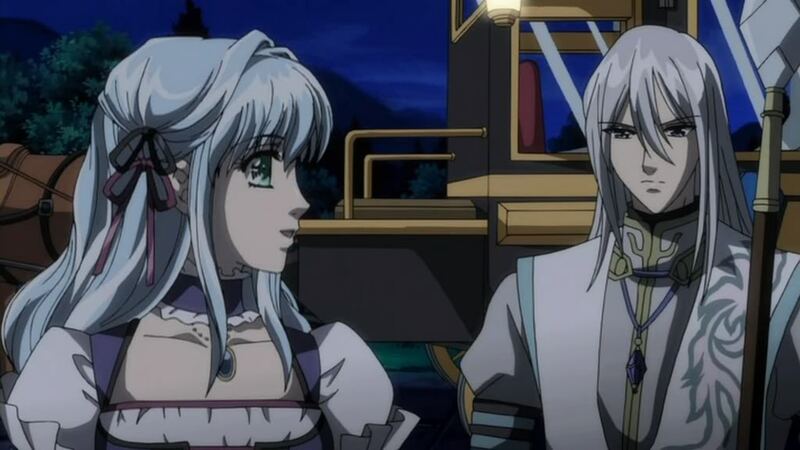 Elena and arakasi traveling to a dinner they got invited to by another noble family. Everything would change when he became the target for a assassination attempt and the culprit was no other than a very old servant to the family. Arakasi survived the assassination attempt but it costed him his left eye. Elena never left his sick bed during his recovery. Sadly the guards killed the servant before he got a chance to interrogate him but a few weeks later he found out who was behind the murder on his brother and who had convinced the servant to assassinate him and the culprit was taken care of. He also started working on a invention to replace his eye and after many hours spent in the laboratory he succeeded. Then information on the aizen incident reached him and he left the shadows of the kidou corps and then rejoined the 5th squad that was in chaos. Although he never officially got appointed captain again he pretty much ruled over the squad during this incident since hinamori seemed to be to upset with aizen proving to be a traitor. Hinamori became his lieutenant once again and all seemed well. He was however not participating in the winter wars fighting against aizen due to that he had been ordered to protect Soul society just in case that azien would succeed with his plans. After everything was solved and aizen was imprisoned all seemed well. The captains responsible for aizens defeat were promoted to royal guards or retired. Despite not having doing much Arakasi was also offered this spot but said no to it thinking of his duties as head of the fuijinsen clan. He never actually left soul society much during those years and protected soul society doing his duties as a captain. He also on his free time returned to the manor Mostly to be with Elena but also to the lab in the basement where he conducted experiments after putting up layers of barriers. During this time he also married Elena. 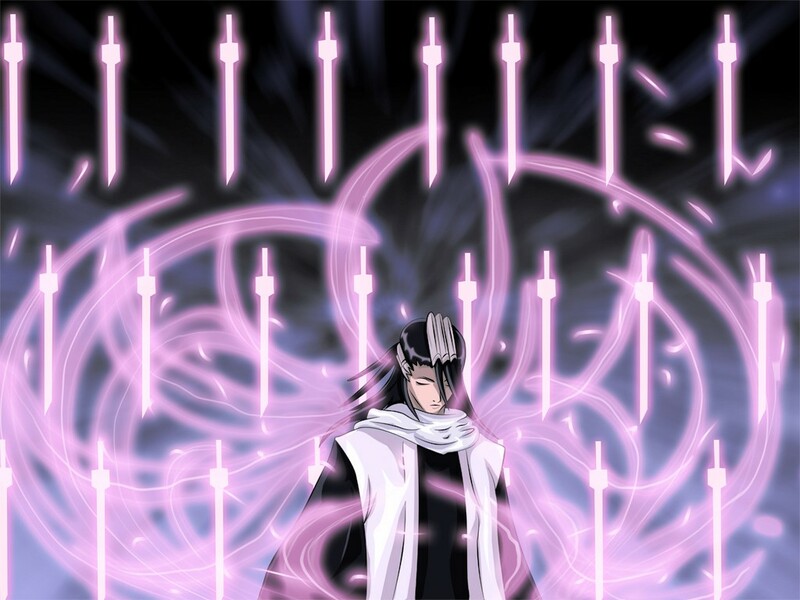 At a time he had begun researching on how to give more power to the members of soul society and that was the base idea when he invented the Tensei (転生, Transmigration of Souls). Realizing what he had created he hid the invention away in a sealed vault in his lab in his mansion. During his time now as kidou corp commander and captain over 5th squad they have more or less becoming one just like Onmitsukidō and 2nd squad have. Weakness Hakuda, Zanjutsu physically weak. general fightning style Combining his speed with devious invention and his kidou knowledge. ha a perfect night for hunting at this late hour it was usually only homeless people that was out. Sure normal humans hadent much power he could take but sometimes they could suprise there was suprisingly many that had slumbering powers, and then of course it was the hollows this town seemed to be filled to the brim with them one of the reasons why he had opened up his store here by feeding on hollows he had manage to keep his existance a secret so far snd he intented to do so still. A howl was heard not so far from where he had made his apperance a hollow right on time and judging by the spiritual power a little more powerful one tol Looking around to make sure no one did see him he opened a hole in the ground and dissipeard. "you seems to be a strong one but you aint very smart are you"
I use the system beginner intermediate and advanced meaning advanced is the highest talent level. the personal techniques he developed are in green text. This is probally Arakasi’s worst area due to having focused nearly all his time to train his kidou and shunpo however he is still a very lethal combatant able to hold his ground against most zanjutsu users due to his high flexibility and by using his own developed kidou enhanced zanjutsu style. Samidare (撫で斬り, "Summer Rain""): This technique allows Arakasi to thrust his blade with extreme force and speed By focus reiryoku into his blade specifically to the tip of the blade, and arm, it can easily pierce through opponents protected by steel skin. Arakasi thrusts his blade multiple times with only one hand. The opponent can be injured with multiple piercing attacks so precise, that they receive wounds all over their body. Mikazuki no mai ("Dance of the Crescent Moon"): Arakasi draws out his blade and channels his spiritual energy into it. then runs toward the opponent, slashing them upwards into the air and then using flash step appears right above him/her, and delivers a sharp, drilling slash down upon them, impelling the opponent to the ground. 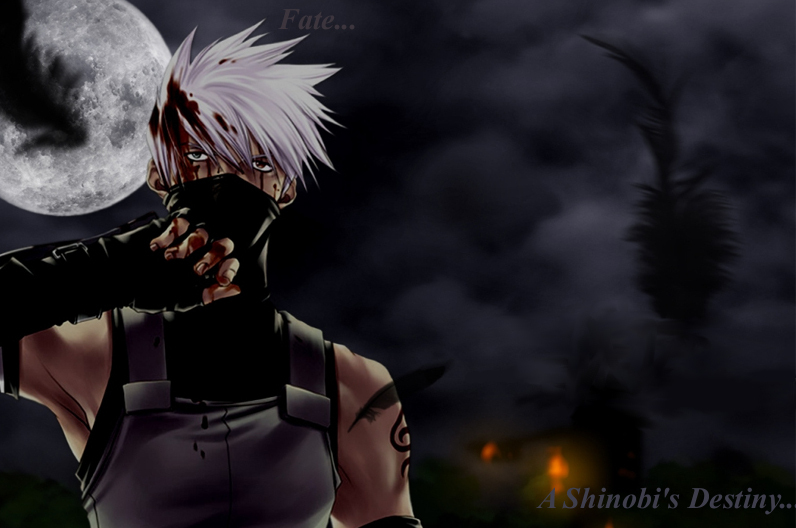 Description: Is an important skill for most Shinigami. The agility and speed of Hohō can be enhanced and improved through mastery of it, concentration, and training. (Flash steps) is the most commonly used Hohō technique. However, there are variations even within Shunpo and other Hohō techniques that only master Hohō practitioner can use. Description: A movement technique that allows the user to move faster than the eye can follow. The focal point that determines the bases of this technique is speed. As speed is the main point of the technique the method is best characterized by how fast one can get from point A to point B in the least amount of steps. Training and skills are what determines how fast a user of Shunpo can move; those of little skill in the technique or those who haven't used it an extended amount of time would obviously be out of practice, causing those individuals to be considerably slower, which requires the use of more steps to move the same distance and become winded far easier in a shorter amount of time. Description: A special Shunpo technique where one moves to their opponents back. Directly attacking and sealing one's "Saketsu (Chain Binding)" and "Hakusui (Soul Sleep)" in one strike. The movement is so fast that an opponent may not be able to tell whether he was attacked from the front or the back and even an outside observer may find it impossible to tell what the movements are. Description: It allows for a movement at great speed leaving an afterimage behind. The afterimage may even appear to have taken damage. Description: A shunpo technique created by Arakasi that for the moment he is the only one that can use this. The technique creates a mass of reiatsu behind or in front of the user that spreads out like a shockwave. When this shockwave collides with an enemy, it sends them flying. This cannot be used in combination with kidou or senka however due to the focus it takes to channel reitsu into onces feet. Description: Is the general term for close-combat techniques that make use of one's own body as a weapon. High-speed Taijutsu (Body Skill) attacks are used to overwhelm the opponent. Physical strength and skill is determined by this class. It also seems to be a combination of several martial arts. Despite this being one of his worse areas Arakasi is quite agile and flexible. In battle, he is tremendously agile and is able to attack from various angles with great dexterity. And in combat he is using a kidou enhanced hakuda style making him very letal due to it also dealing internal damage upon hit in most cases. Hakuchōtaira (白鳥平, Swan Palm) is an original Hakuda technique that imbues each of his strikes with the power of a Shò spell, and given that spells immense power. It makes him a deadly Hand-To-Hand combatant - the technique is configured in such a way as to deal internal damage upon an attack along with exteral, it also works as some sort of protection to Arakasi’s hands as while its in effect he's capable of blocking sword-attacks and other effects with his hands alone. Kishiwa (気皺, Spirit Ripple) This is another original Hakuda technique which incorporates Kidō with martial combat; When Arakasi uses this ability he releases a 360' degrees blast of pure force, with enough might to send an opponent scuttling trough the air. It can double as a form of sheld as it can easily deflect powerful Spiritual Attacks and projectiles; along with negate most other forms of attack simply due to the force of the wave. Description: Is one of the four basic Shinigami combat forms. Kido is the technique that Shinigami use to focus their Spiritual Energy into magic spells of various powers. These spells serve a wide variety of uses such as healing, defense, or combat. Kidou is Arakasis strongest area with his kidō powers being among the strongest out of all shinigami in the entire gotei. Arakasi’s skill in Kidō is so great that when he had just graduated from the Shinigami Academy he already had the appropriate knowledge and skill needed to cast spells of the 70's levels. As well as advanced knowledge of the flow of spiritual energy and many effective ways to counter opposing Kidō spells. Over the years his skills within the area has become so refined that he's able to instantaneously call upon Kidō spells in battle without incantations, and in all cases except 96-99 level spells he's able to cast them without reciting the number or the spells name, while retaining its great potential power, where most users require a name to do so, if not a full incantation.. He is able to cast several in quick succession with almost no effort, layering them on each other. Arakasi has also shown the knowledge of how to break barriers set up by the spiritually superior beings that even captains are incapable of naturally breaking. He is also shown himself capable of making high-level seals undetected until the trap is sprung. Motionless Spellcasting: As stated above Arakasi possesses a skill unheard of anywhere else in Soul Societies history, namely the ability to cast spells entirely without hand gestures or any poses of any kind. In the case of Binding spells he doesn't even need to see the opponent, as he's capable of casting spells by reading the foes Spiritual Signature. Shape Manipulation: Arakasi has the ability to manipulate the shapes of his spells to great extends, this can range from anything as simple as compressing a spell such as Sōkatsui to the point that it becomes a piercing spell, and much more lethal. Perfect Kidō Spells; Arakasi Kidō spells have the added power of being incredibly hard to break down and it has never once occurred that his spells have dissipated before connecting with the target. Also, him having perfected most Kidō spells he's proficient with he doesn't need to recite the name of any of them. Allowing him to easily blend in his Kidō spells with Hakuda or Zanjutsu,. Kidō Combinations; Like any true Kidō Master Arakasi is able to easily combine both Bakudō and Hadō together to create tremendously powerful spells and effects, and due to his keen intellect and almost unrivaled knowledge of Kidō he's able to quickly devise new spells to handle more or less any situation in battle this makes him especially powerful against other Kidō users.. Personal Kidō; Like many other masters of the art, Arakasi is able to make any Kidō spell his own trough sheer knowledge and experience, he's been known to have at least five different "Types" of each spell in his arsenal, all of which commonly takes completely different shapes than the original and their effects needn't even be remotely similar. Vast Kidō Knowledge; Arakasi specialized in Kidō to such a degree that he's able to instantly analyze any known Kidō spell without hearing its incantation nor its name thus being able to counter it almost instantly. In the regard of other Kidō masters, Arakasi able to analyze any personal spell of theirs after having seen it at least once - though it varies depending on the complexity of the spell in question. If he's fully analyzed a spell he adds it to his own arsenal: Arakasi has stated that much of his mastery of Kidō is derived from other masters and as such, the better his opponent the more Arakasi improves. Consequentially, it is not uncommon for Arakasi to willfully seek out other Kidō masters whom he deems to possess knowledge that he does not himself. Arakasi has created very fearsome and unheard of Kidōs in his many years.He has created his own styles of Kidō, such including healing, space, time, energy, elemental. Calligraphy, and Illusion type Kidōs. Many that He has used in accordance with his Zanpakuto. He has broken down these techniques, into different styles according to thier classification and use. Kouseiyouso(構成要素, Element Use) is the first level of Arakasi ‘s unique kidōs, the mastery of all of the elements. Arakasi is able to use multi-elemental attacks at opponents, having a great mastery over this. Arakasi has shown great prowess in this use, from using an opposite elemental attack at an opponent that can finish them off in one blow. He has also adapted his body to this kidō, being able to survive in the coldest to the hottest weather. This can go as far as if an opponent has an element manipulation Zanpkautō. he has a great lover for this technique. By spinning and moving the whip of energy around, he can be able to deal damage from a long range. he can also even block an on coming attack from all sides with this technique. Seki(関, Barrier uses) is the third level of Arakasi’s unique Kidōs, in which he is able to manipulate different kinds and various forms of barriers. He can control the amount of energy that can go into a barrier from a simple barrier around him hiding his own spiritual pressure or a barrier around a whole area. She has learned from Sentonara, to break down any barrier from a low to an S-Class barrier as he classifies them. By putting her energy out to overpower the energy in the barrier he can easily break the barrier. He has become highly skilled in set up multi-barriers in a wide range of areas. Being able to have control over more than one, over a long period of time. He has learned to surround a barrier around different opponents, then starting to make the barrier smaller he can be able to crush them with great force and power. Zenchi(全治, Healing use) is the fourth level of Arakasi’s unique Kidōs, in which he is able to heal himself or another. He is able to heal his injures very quickly, with his own spiritual energy by increasing the rate of his white blood cells and skin cells. He is able to have his wounds closed in about a minute. He has also been able to heal bones as well, be using his Kidō to rest the bone marrow, thus healing the bone to the point that he can even make it unbreakable, if there is enough marrow put on said bone. Also within the healing he is also able to even stop his own heart, to give the opponent the scenes that he is dead. But when they lower their guard he can restart her heart and then give them a final blow. Jikūkan Kekkai(時空間結界, Space and Time use) is the fifth level of Arakasi‘s unique Kidōs, in which he is able to manipulate space and time. Taking control of matter being able to teleport it to another location or even another dimension. This skill is one of his less favorite, because of the energy and time that is required to prepare spells such as these. He will uses this level of Kidō, in the use of traps, barriers that have a timing action to them and many other uses. He is able to break down the atoms and molecules of the object or even another person, then using her spiritual energy to almost push the atoms and molecules to another location. He can change the landscape of the battlefield as well by breaking down the molecules of the area he can reconstruct them, to her advantage. Senshinyuuza(先進ユー, Advanced use) is the sixth and final level of Arakasi’s unique Kidōs, in which he has either a combination of the levels before this one or techniques that he uses to give a deadly blow to an opponent. This is his most dangerous level, because the amount of energy and effects it will have. He has great control over this level. Some of the spells he has in this level will vary because of the combinations that he could use with the other levels, Such as using the Kouseiyouso and the Jikūkan Kekkai. Timing such attacks with a timed attack proves to be a deadly combination. Description: Is where the incantation is recited after initiating the spell to power it up. It is another method of circumventing the necessity of uttering an incantation for a Kidō. Description: involves mixing the incantations of two or more Kidō spells together to save time and confuse ones' opponent. The difference between spiritual pressure and spiritual energy is simple: Reiryoku(spiritual power) is the amount of energy a being has stored within their body or soul, where as Reiatsu(spiritual pressure) is the pressure that a person’s Reiryoku exerts. The difference is much like energy and power. Power being the amount of energy exerted per unit of time. Reiryoku is potential while Reiatsu is energy in use. In general, those with high levels of Reiryoku will often have the highest levels of Reiatsu also. A skilled warrior can overcome a person possessing greater Spirit Energy by possessing greater Spiritual Pressure. Description: Is a power aligned with the spiritual sensitivity and willpower of the user. It is used by Shinigami to provide power for their various feats such as Kido casting, Hoho, physical strength/power, and to effectively channel the powers of their Zanpakuto. Reiryoku usually requires a certain level of concentration, and tends to tire the person after some time, or after performing some of them in quick succession. It is also known, that after excessive usage of Reiryoku a Shinigami will need food to replenish their strength, while on the other hand, they do not need to eat anything to sustain themselves during everyday activities. Reiryoku can even be coalesced into a physical form and thrown or shot as a projectile. Another basic ability that beings with high levels of Reiryoku possess is the ability to sense other spiritual beings without relying on their five basic senses. This is possible because every spiritual being emits a unique pattern to his/her own Reiryoku. One can recognize the pattern of his friends and acquaintances after some time, being able to sense their presence and their physical and mental state from relatively great distances. Different types of spiritual beings have greatly different patterns, the Reiryoku pattern of hollows for example is easily distinguishable from that of Pluses or a Shinigami. The Visored are a special case, because when their Hollow mask is donned, their pattern of Reiryoku resembles that of a Hollow, rather than that of a Shinigami. Arakasi’s age and constant use of kidou is likely the cause for his vast spiritual power. One of Arakasi’s greatest assets is his masterful control of the flow of Spiritual Energy; this sterns from his great mastery of Kidō and its many uses. He's managed to devise a form of temporary empowerment of a designated attribute (Speed, Strength, Resilience, etc) of his own: This is primarily used in order to temporarily increase his strength enough for him to be able to successfully block or parry the blows of a powerful opponent with one-handed techniques, leaving his left hand free to cast powerful Kidō spells to decimate or restrict the enemy in question. This ability, while certainly very useful tends to drain his power in proportion to the sudden change. Arakasi also know how to hide his reiryoku and pattern thus making it impossible to find him by looking for it even making him appear like someone of a different race thanks to the tattoos on his arms. Shape: his reitsu takes the form of wings when he releases it. Description: Is the physical force/pressure that a person’s Reiryoku creates when released. Reiatsu at its most basic level can cause fear in others when it is very high, in comparison to the one feeling it. High level of Reiatsu can cause those of lower power to be stunned by simply being in the presence of a high level spiritual being. It is not uncommon for Humans and souls alike to get the wind knocked out of them by simply being near a spiritual being with a high level of spiritual pressure. When a Spiritual being of high reiatsu chooses to, they can paralyze an opponent just by focusing pressure through their stare. High level of spiritual pressure can make an opponent feel as though they are being attacked though nothing is physically happening to them. Different spirits have different colors of reiatsu, and it does not depend on the character's race or power; instead, the color is determined by the owner’s personality. Arakasi possesses a exceedingly powerful Reiatsu even by captain-level standards, he has tremendous amount of spiritual energy this is probably cause he is a kidou user. His spritiual pressure is quite overwhelming, capable of making average captain level shinigami sweat in fear. Even paralyzing lieutenants with a look. A solution which he prefers rather than fighting. His reiatsu is grey in colour. And it takes the form of wings when he releases it. His reiatsu has shown the ability to nullify weaker attacks and weaken stronger-level attacks. Due to his high control over his spiritual energy and spiritual pressure he can release the full extent of it and it seems to not affect anything in the surrounding unless he wants it to. He is also very skilled at hiding it. 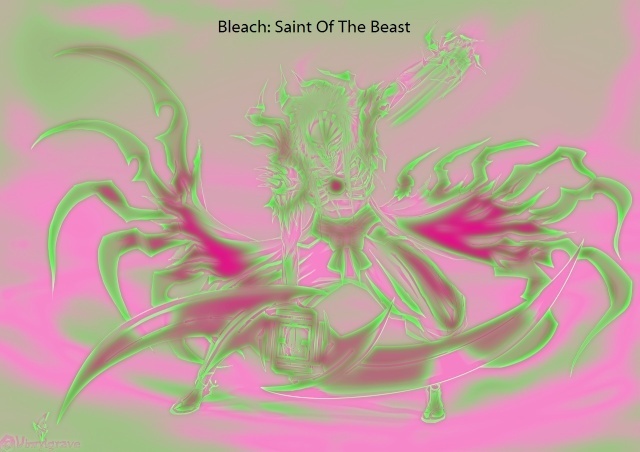 Enhanced Spiritual Awareness: As a Shinigami, Arakasi’s naturally Spiritually Aware, however, due to his great skill and knowledge about the flow and signs of Spiritual Energy he's fully capable of going beyond what is naturally expected in this field, able to keep track of battles from long distances. Even while he was still in the Academy Arakasi was praised for being very skilled in this field, and his natural awareness easily surpasses that of most other Shinigami. High Intellect: It is evident that Arakasi possesses advanced intellect. As even at a very young age, he shown great amounts of talent in Kidò. He's well-versed in the strategies and history of Soul Society. He has innate knowledge on sensitive topics, including that of the Hōgyoku and the Ōin, and has knowledge of using said devices. He also uses his intelligence to find weak points in his opponents. Wisdom: A more prevalent feature of his intellect is his Wisdom, as one who've lived for many decades and experienced many things Arakasi has at numerous occassions proven his merit; being capable of in-depth observations and perceptions which can startle most opponents. Medical Knowledge: Though it is largely unknown from exactly where Arakasi got this since he dident spend that much time in the 4th squad, he's stated that he used to work as an assisstant for a doctor, and such learned rudimentary things about the human body from there; as evidenced by his skilled use of several spells. Marvelous Spiritual Insight: Arakasi’s vast knowledge of Kido, and by extension the art on how to manipulate his own energy for a huge array of different effects have made him incredibly insightful as to the effects and use of most of an opponents abilities, he's capable of usually successfully gauging an opponents techniques to their very core and usually rendering them ineffective after being used more than twice. Highly Perceptive Combatant: Arakasi’s level of perception and skills in analysis is quite high, evident by how he can deduce most situations and patterns quite easily without having to see the technique or a movement executed many times in succession. He's also known to correctly guess the nature of many abilities depending solely on their energy signature, though this can to a large degree be connected to his expertise in Kido. Expert Strategist & Tactician; Arakasi is well versed in the strategies and tactics of Soul Society from his brothers training and his time in the academy. This also allows him to think many steps ahead in regards to which spells are most effective; this also extends to strategy and tactics in battle, his strategies have been described to be very complex, and organized. Body Modification Expert: Arakasi has done extensive research on modifying bodies, and he has upgraded a variety of his own body parts to provide him with useful abilities. the nanonites attack any fegin substances like toxins that enters his body its breaked down and removed of any impurities and added into his reiryoku. It also helps to heal minior and moderate wounds or for example prevent bleeding. his artificial right eye that he implanted after losing his real one. Contains some special abilities, like the ability to see through nearly all visible spectrum. With the ability to cycle through all wavelengths of light, this includes such possibilities of things as X-ray vision with control over intensity, or thermal vision to see potential threats coming or diagnose temperature conditions. This can even going as far as to see the configuration of reiatsu to better understand his opponents anatomy and composition. Bypassing traditional sight entirely by not relying on traditional anatomy, this instead is akin to direct processing of information in the brain. This has in the past become quite overwhelming with extended use resulting in a number of incredibly painful migraines. Despite this drawback, this has proven to be a deadly counter to illusion based abilities as they rarely have the power to penetrate every spectrum. It can break down reitsu/reiryoku based techniques and even some material and items so he can analyze them. This has obvious implications in the research fields instantly allowing him to diagnose many conditions, but even contributes to a savage advantage in combat allowing him to see the physiology of the opponent and understand the architecture of techniques. Strength: Arakasi strength is his weakest trait due to him having trained his Speed more than strength. Endurance/durabilitiy: Arakasi have remarkable stamina, allowing him to keep going even as his peers fall from exhaustion, often making him appear as nearly inexhaustible. Arakasis immune system appears to be inhuman, giving him great resistance and resilience. His immune system is also resistant to toxins such as alcohol. When it comes to durability Arakasi is probally weakest among the captains he does make it up through his kidou use though. Control: Reitsu/ Reiryoku control is where Arakasi truly excels, he is considered a prodigy. He can precisely control his inner reitsu flow, increasing or decreasing the rate of flow at will. He can force his reitsu to flow in desired methods and sense when it’s flow is abnormal. This allows him to not waist a bit of reitsu whatsoever in his techniques. When you learned this tech: He developed this technique as a supplement to reitsu/reiryoku collection technique. Using Rights: Well its just a improvement of the normal sensing of reitsu so everyone can learn with hard work but for now arakasi only. Description: he can see residual Reitsu/reiryoku in an area where Kido or zanpakotu powers have been used within the past few days the stronger the ability/technique the easier to see, he can even see residual Reitsu/reiryoku from a person having passed through an area even several hours after they passed through. Duration: until he ends it its just made for collecting reitsu/reiryoku samples. Weakness: he can get a wrong sample if hes not cautious. 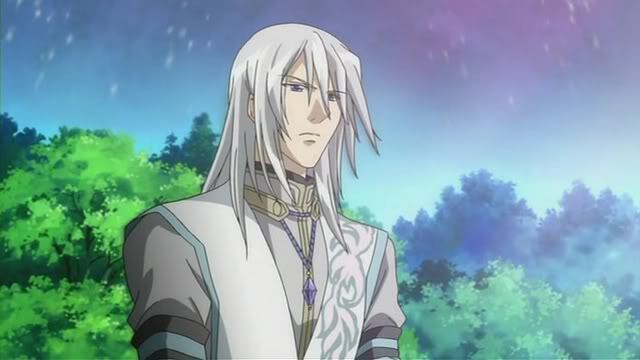 Description: Arakasi have developed a technique able to detect everything around them him he release bursts of Reitsu/reiryoku to saturate the surroundings. This reitsu though subtle and barely perceptible will aid them in detecting anything and everything for some distance around them. By slightly intensifying that Reitsu/reiryoku emission, Arakasi is able to greatly increase his awareness of the surroundings. Anything passing through this Reitsu/reiryoku or disrupting it, such as an individual, a different reitsu, or projectile will cause a rather clear distortion within that Reitsu/reiryoku that Arakasi will be able to perceive clearly, therefore allowing him to detect even that which might be invisible to them otherwise. The disturbed Reitsu/reiryoku paints a rather clear picture of what is coming. This allows for Arakasi to make out the full silhouette of the individual or item coming towards him, or sense the intensity and strength of an intruding Reitsu/reiryoku. The energy used in this is minimal as it is done in small periodic bursts to keep the area saturated. Weakness: it only covers a 359 degree area making it very vulnerable to ranged attack if once opponent discover it. During his time in the Fourth Division, Arakasi worked on and completed several unique Kidō which he began using for healing purposes. As his life went on, he developed several other kidō techniques both offensive and defensive. He has proven himself highly capable of using them at their full potential. One of his hobbies is to think up and even create new and powerful kidō, though he often makes them in preparation for certain fights. Incantation: Energies of cosmos here my call, I summon the to form a shield to protect me from my enemies. Incantation: Seek and destroy the enemies that dare to stand in my way. Effect: This is a simple spell developed by Arakasi . Focusing reitsu into his hand Arakasi will then swing it in an arcing motion emitting said Reitsu as he does so in the form of a 16 inch wide paper thin crescent shaped form of shining blue translucent energy. Easily seen by normal eyes this Crescent blade travels very quickly and cuts very deep. Able to cut through flesh but not bone, none the less it can prove dangerous depending on where it hits. With a total range of 30 feet, this attack will cross its entire range within a second before dissipate into nothingness. Incantation: I call upon the blade of spirits lend me ur power. Effect: a variant of his materializing technique combined with kidou. This spell creates a blade of pure Reitsu appearing as an intense yet focused undulating blue ghostly energy, almost flame like. It extends out from Arakasi’s upper arm, engulfing his hand and extending out roughly 3 feet past his fingertips, though Arakasi could temporarily extend it out up to 6 feet in length by focus more chakra into it. Usually his hand, from wrist to finger tips, needs to be kept in straight alignment lest the blade become deformed and unstable. The blade takes a moment of focus to create but requires no incantations. Incantation: Mirrors of the Underworld - take my visage and hide it amongst your reflections." Effect: This spell's sole purpose is to confuse the target so the spell caster can ambush them. The spell caster must remain stationary while the spell is in effect, if the spell caster moves within the 5 second time-frame is able to last, the effect ends. When it is cast exact images of the spell caster surround the target the number of images dependson how much reishi the user uses. However, each image is transparent and flash repeatedly at a rapid like a florescent light about to go out, and the images move around the target maintaining their circle though the image itself makes no motion. The spell caster themselves is hidden amongst the flashing transparent images as they move around the target. It is very possible for the target to strike at an image and hit the right one concealing the spell caster, this can cause great harm to the caster or even get them killed. However, if the caster is successful in confusing their target, it is quite possible for the caster to ambush the target before they can defend themselves; and therefore cause great injury or even potentially kill the target in the process. If the spell caster is hit or he cuts of the spell all the images dissipears. Effect: The user pushes their Reiatsu into their hand, then pushes it outward and condenses into their palm. The energy swirls and takes the form of a ball. In order to finish the spell, the user must then create an electrical current and charge the swirling ball of energy. As the charge enters into the forming ball of energy it glows a bright blue color, finally formed. The user is then able to manipulate the energy ball's size and energy output by pushing more power into it or pull from it. The energy ball grinds and electrocutes anything it touches and vanishes when the energy the use puts into it is used up. An expert practitioner is able to constantly feed more energy into the blast and continue to keep the attack up until they feel they must end it. Soubyō (宗廟 Ancestral Shrine) This spell, when activated projects his spiritual energy into a small cubical shape, this spell goes into the space-time realm, allowing him to completely isolate himself from the "real world" for a certain period of time unless the barrier is either interfered with by another space-time ability or his the cube itself depletes and is shattered due to lack of spiritual power. Shijinjuu (四神獣 Guardian Deities of the Four Cardinal Points). Incantation: As I plead to the Guardians who bless us all, I create a sacred shrine in your name. Flames of the North I have dived in, Waters of the South I have swam, Earth of the West I have depended on and the Air of the East I have moved with. Allow me to borrow your power just for this moment and forevermore! Fuuin (seals) all the fuuin techinques takes one post to prepare unless stated otherwhise In the description. he can however have all the calligraphy ones on prepared. 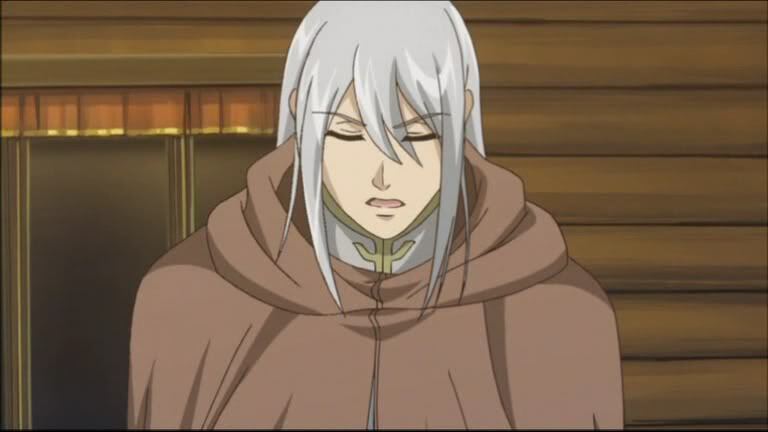 Description: This is a special Sealing technique Arakasi developed. It involves painting/sketching/carving or etching out a particular sealing diagram upon a floor. Ink, chalk, or any other way of creating this design pattern will do. Upon completion of the Design. The seal itself remains mundane until a Reitsu source ( IE a person) walks onto it. From that point the seal will glow in a silvery blue light to indicate it has been activated as the victims own Reitsu activates and sustains it. Until said Reitsu source steps onto it, the design remains completely mundane, as if any other writing or drawing, leaving no sign or its actual nature, nor giving off anything that might allow to detect it for what it is. The seal however can easily be undone from without, The person within cannot pass the secondary outer ring to reach the outermost one, but someone without will obviously have no such problem. By scratching out even a small portion of the out ring, enough to cut its continuity, the entire seal will be ruined. The Seal’s effect will stop, freeing any one trapped within, though of course this can easily be repaired by repairing the cut in the design. (No other part of the design can be damaged once the seal is activated and powered by Reitsu) Obviously the sight of the design on the floor can dissuade cautious persons from stepping onto it, so, if this is meant as a trap, it will usually be hidden or obscured, such as under a carpet, a thin layer of dust or soil or any such method, these will not impede the seal in anyway. This seal can be made as small as 4 feet wide to hold a single person, or as large as thirty feet wide, to entrap an entire room. It’s power however is not affected by its size, as either way, it’s power will come from those trapped within. Also, the pattern is rather elaborate, usually taking a minimum of three posts to complete its of little use in combat, rather it is meant as a trap to protect an area or a way of containing a person or other for questioning or such. Description: This is a Fuuinjutsu technique designed to put up a detection barrier over an area connected to the user who put it up. It involved placing 4 seals, usually a simple Kanji for North, South, East, West in their proper position in relations to each other, to form the four corners of a square spread out to up to 1 mile wide. Once these kanjis are put in place, which can be done through tags or carving or writing out the kanjis out onto proper surfaces the caster must make their way to the approximate center of the “Square” and form a set of 4 hand seals to finally activate the barrier. Once this is done, the caster becomes aware of all reitsu sources and signature within that zone, as well as their relative position within the zone. 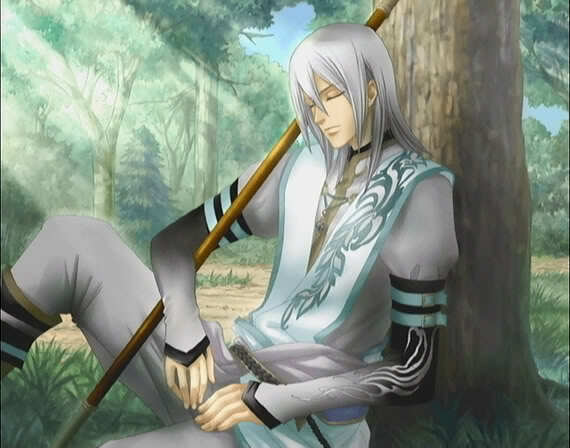 If asleep, the caster will immediately be awakened by a Reitsu source walking into the area, etc… This is perfect to set up if one wishes to sleep in enemy territory where danger might sneak up on them or such situations. 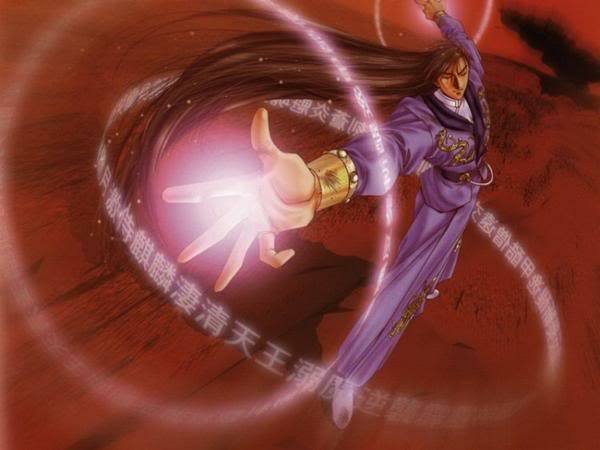 If the caster leaves the square, than he must once more perform the hand signs to once again reactivate the detection barrier. Description: A fuuinjutsu technique where, after placing a drop of blood in his palm and say the chant, he will be able to place an exploding seal on any surface he touches with said palm and blood. By performing the proper chant, the blood on his palm becomes infused with Reitsu. From this point once this blood is deposited on a surface (by Arakasi putting his palm down on it) this deposited blood will immediately and quickly slither around to form the Kanji 爆 (Bomb) and will try immediately, staining said surface with the Reitsu infused Kanji. From this point, Arakasi can detonate the seal at any time he wishes. Once a mark is made there is no limit on how long the seal will be good for before he detonates it. For a seal to be undone, if noticed on time, it’s a simple matter of infusing a second Reitsu into it to cancel out Arakasi’s own, but obviously this has to be done before he detonates it and will require a moment or so. The following is a list of Seals Arakasi can write using Shodo. this is a kanji that when placed upon a surface, can be used to sense through, meaning that though he might be miles away, he will be able to sense movement or Reitsu within a 30 feet radius of the seal. This kanji can be placed on any surface and upon forming the proper one handed hand sign, Arakasi will gain an awareness of the general location of the item tagged, thus allowing him to track it. This Kanji can be placed upon an item that will then burn any that touch it except for the one that wrote the Kanji and activated it. This can be placed on a door, a weapon, an important item, a book, etc. This kanji, can be placed on any surface and, upon being touched or upon coming into contact with a foreign Reitsu , will explode with the same force that Moridin put into it, thus making for an effective trap. This kanji when placed upon an individual, usually through a tag, will allow Arakasi to sense their physical and Reitsu condition, thus allowing him to sense when they are harmed or using their Reitsu . It also allows him to determine how much Reitsu they have remaining and the level of harm coming to them. He usually uses this with individuals is charged with protecting or with other charges, though this could be used on any one. All that is required to free one’s self from this bond is to remove the seal off of one’s self. 禁 - Prohibition (A ranked application) This kanji when placed upon a surface will create a protective barrier around said surface rendering it unbreachable. This can be placed upon a door, a wall, or any surface one wants to keep someone from penetrating through. The weakness of this barrier being the seal itself, the barrier created affects only the surface it is placed upon leaving the seal open to be removed thus negating the barrier unless if it concealed. This kanji when placed upon an individual, usually through a tag, will cause ghostly links of chains made of Reitsu to lash out and wrap themselves around the person the seal was placed on. Once they have wrapped themselves around the person, they will constrict until the person is completely immobilized. Furthermore, these chains emit a good portion of Reitsu into the victim’s body causing a disruption in their Reitsu keeping them from effectively molding Reitsu for any kind of techniques. to be noticed is that it drains the Reitsu from the one immobilized. Arakasi’s mastery of Kidō is not only general. Arakasi have been able to master five spells completely, and as such he's been able to device powerful variations to them - in addition to their power being increased immensely respectively. The spells are listed in perfect order. Arakasi’s Shō spell is supposedly equal in power to that of the Ikkotsu Punch, being fit to easily blast fist sized holes in the body of an opponent trough the sheer force of the bolt alone. Making this a very dangerous spell. Shō, sen (衝穿, Thrust, Drill) This is Arakasi’s most dangerous spell in quite some sense. Its incredibly fast, noted as being quicker than a Bala, and very powerful, by flicking his wrist as he casts the Shò spell he's able to make it much more potent to the point that it begins to drill into the target once it hits: The sheer force of the spell easily carrying the subject many yards away, this in addition to the fact that it ignores Spiritual Power, makes it very efficient indeed. It also uses very little energy to cast, meaning that he's able to use these in quick succession. Shōgeki tai suru (衝撃退する. 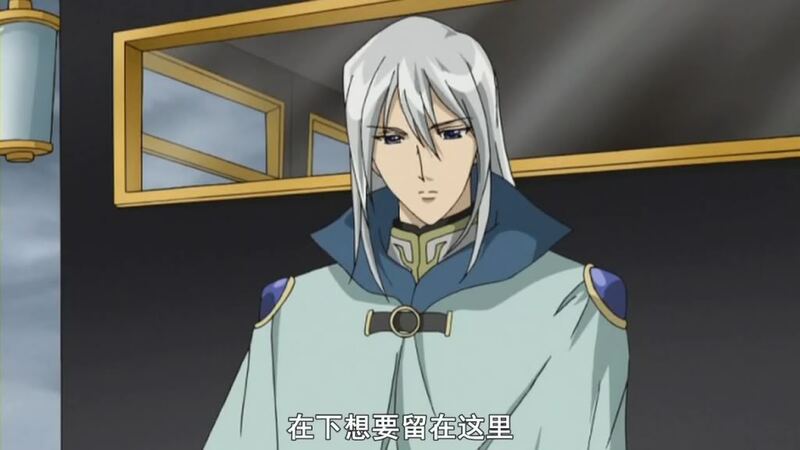 Repulse an important duty) By making a quick swipe of his hands as he casts Shò Arakasi is able to generate a wave of blue spiritual energy which rapidly expands outwards, and anyone caught within the wave are forcibly carried away from Arakasi. Enabling him to gain ground. And gather his opponents in one place. Gopointo Suishinryoku (五ポイント、推進力, Five Points, THRUST) Arakasi can by pointing his whole hand at his enemy cast Sho with every one of his fingers simultaneously, thus creating five blasts whom all are aimed with deadly precision and whom are able to harm above Captain-Level opponents rather horrendously: Naturally, when this spell is cast it drains quite some energy from Arakasi. The subject hit by this spell directly sports a very low chance of survival, as it has been described as having the strength to instantly kill opponents much above the criteria of Captain-Level. It needs to be charged up before it can be fired though, lessening its use in the midst of battle. Shōmahi (衝麻痺, Thrust, Paralyze) This is a weaker version of the standard Shō spell; in that it materializes as one or more thin bolts of compressed energy; these are aimed towards certain bodily points, and they each release a charge of Reiatsu when they make contact, if they manage to hit one of these bodily points, they immediately cause the associated body part to temporarily cease functioning. In a manner similiar to acupuncture. Arakasi’s skills in this spell aren't often witnessed. when cast at its full power this spell is easily able to level most obstacles. Leaving nothing left in its wake but a barren wasteland. For this reason it is rarely employed by Arakasi.His skills with it has allowed him to create certain variations. The power of Arakasi’s Sōkatsui spell is easily on par with that of Haien, and its fit to easily incinerate opponents if one is careless, its wide range and such also makes it harder to avoid successfully. Sōkatsui Kyūzō (蒼火墜急増, Blue Fire, Crash Down - Explosion) By channeling Sōkatsui into his own body Arakasi is able to release a very powerful 360' degrees blast of pure Spiritual Force. The ensuing explosion radiates outwards and uses Arakasi himself as the epicenter. The spell is powerful enough to instantly vaporize several Gillian-Class hollows. But doesn't have too much effect on singular very powerful opponents. 	Sōkatsui Yari (蒼火墜やり, Blue Fire, Crash Down - Lance) By directing his palm at an opponent Arakasi is able to release a one foot thick lance of blue flames towards a single target: The spell is strong enough to instantly incinerate those whom take a direct hit, though it moves slowly, so its best used when the opponent is immbolized. Sōkatsui Oō (蒼火墜覆う, Blue Fire, Crash Down - Wrap) With this spell. Arakasi can augment his aura with Sōkatsui so that everyone in his immediate vicinity is affected by gradually escalating burns. Not to mention that every strike with his sword is enhanced to the point that it deals great amounts of damage if it hits, commonly burning away patches of flesh. And actually causing it to "Sear" its way trough skin, Hierro, Spiritual Power and Armor with strict ease. Sōkatsui Hato (蒼火墜はと, Blue Fire, Crash Down - Dove) This spell is a very powerful variation of the traditional Sōkatsui spell, and it basically transmutes a portion of Arakasi’s Reiatsu into several birds of blue flame, that he can grant extra speed by sprouting one or in rarer cases, two extra wings on their backs. Arakasi is very proficient in the use of Tenran though he uses it less frequently than some of his other more prevalent spells - this is also largely due to the fact that due to its large scale destructive properties which makes it more likely to wound allies as well. Tenran: Daitoppa (闐嵐大突破, Orchid Sky: Great Breaktrough): Arakasi is capable of compressing the power of the Tenran spell into a cone-like shape in front of himself, as opposed to the widening arc of the original in order to add much more concussive force to the spell, allowing it to easily fling opponents away several houndred meters rather easily as well as inflict great collaterral damage to its victims. Arakasi is capable of maintaining this spell for a total of seven seconds allowing him to viciously buffet an opponent continously. Tenran: Shinwa no Reifuku (闐嵐神話の礼服, Orchid Sky: Mythical Vestments): By curving the wind produced by Tenran forcibly around his frame, Arakasi can sorround himself with a powerful forcefield of pure air - which orbit around him continously at great speeds; any opponent whom attempt to hit him in close-combat will have to force themselves trough the mighty air currents before they'd be capable of harming him. And attacks, depending on their element or type may have no effect on him at all as the shield of wind is known to repel and deflect projectiles, along with water-based and fire-based attacks, due to the fact that the wind blows against the opponent, as opposed to with. Arakasi stated himself that his mastery of Haien combined with its speed, power and low energy cost, has made it one of his most deadly spells. Its known that his Haien is almost unblockable as if it is blocked directly; the spell is likely to incinerate the opponent anyhow, exceptions are Captain-Level opponents and above, for this reason Arakasi very rarely makes use of it, and if he does Its a clear compliment to your abilities - and a sign of him becoming serious, but it still stands as his favored way of killing, due to the fact that the opponent dies momentarily, he refers to it as "Humane Execution". Arakasi’s Haien spell is in fact so hot that it can be compared to the Shikai state of Yamamoto Genryusai's Ryujin Jakka. This makes it capable of reducing most objects to ash at a mere touch, and it also makes it more or less unblockable, though it can be avoided quite easily. Kiruhaien (切る廃炎, Severing Abolishing Flames) Very similiar to the traditional Haien, this variation increases its heat and power to great heights; releasing it as an oblong arc that is ten times as wide as the norm. Arakasi states that it evaporates opponents even before it hits due to its immense heat, it is also rather tiring to Arakasi though and by extension he's only able to shoot a set amount of them in battle: The blast is also slower than the normal variant. Sattō Haien (殺到廃炎, Flood, Abolishing Flames) This is Arakasi’s most odd spell-variant. Instead of creating something to direct at his opponent he conjures forth purple liquified Spiritual Energy. Which then begins to brush around him like water, The heat is such that it can easily be compared to the heat of lava, which easily makes this spell a fatal one, it has several drawbacks though, its not really useful if the opponent is a fast one because it moves rather slowly. Despite Arakasi being able to direct it wherever he pleases. Arakasi is able to use this spell with amazing ease in its normal form. Moreover its demonstrated to be powerful enough to be capable of blocking spells up to level 91, as opposed to be able to block spells up to level 89. He's been able to invent certain variations to it. The power of Arakasi’s Danku spells are only slightly higher than the normal variant, though they're made all the more useful because of that. Dankukai ten Deisuku (斷空回転ディスク, Spliting Void Rotating Disks) Arakasi summons the Danku in a very normal manner except for the fact that it is horizontal, he then uses his own Spiritual Energy to spin the barrier around at highly accelerated speeds before directing it at an opponent as a spinning razor, capable of cutting trough almost anything its also able to instantly straighten up in order to function as an ordinary Danku spell, or if there are two Spinning Disks; Danku, Tsuin no Kagami. The disks are controled mentally. And Arakasi is able to control up to three at once. Description: He has invented a storage pack that is designed to store all his inventions which is enhanced with kido allowing him to store them in an alternet dimmension with unlimited storing spaces and is also designed to open via fingerprint and if not registered it will latch on to the target and will self-destruct. Description: Arakasi’s "Black Ropes" are very thin almost invisible to the naked eye garrote wires alchemically treated to make them harder than steel. During the years he have also enchanted them with his runes and kanjis to give them other effects and make them even more durable. He ties them around his forearms and he also keeps some around his calves to use if his hands are immobilized. He uses the wires as an extension of his own body, able to tie up opponents, flay them, or use the strands to pierce like needles. Date of Creation: Shortly after discovering his zanpakotus powers. Description: This is a much more advanced version of Bakudo Number 58: Kakushitsuijaku (Summoning of the Tracking Sparrows). It creates a 3 dimensional minimap when activated of the surrounding area this is viewed from a bird perspective but the user can change the angle and zoom in and out. Gaining more detail this however cost more reitsu. For friends: he can use this in conjunction with his fuuin technique Shodo Bond to not only get their latitude and longitude but also the effect that shodo technique have. Drawbacks to the invention: The user cannot move while using this makin it almost usless in combat. Description: The cards contain information about people that Arakasi have meet friends and foes Name strength abilities zanpakotu name and abilities. Basically all fighting data about his enemies and even his friends, On some of the cards he also write more detailed stuff like personality and background of peoples. There is also in most cases a picture of the person described if not a detailed description is added. Duration: till he seal them again. Description: A small, spherical, sealing device made by Arakasi to seal away a elemental attack. Once he has done this, he can plant the small sphere as a mine and release the element inside in a gigantic explosion of course some elements are better suited for this than others. Drawbacks to the invention: it can only seal a specific element. And if the enemy got their hand on it they can probally use it to if they figure it wich is not so hard. All they have to do is focus their reitsu into the right kanji on the sphere. Preparation time: takes one post to prepare due to that he need to activate the right kanjis for it to work for a specific element. Any other information on the item: it dissipears when it explodes. Description: this is actally the west that he wears. It is designed trough a serie of intricate spells and enchantments and serve to focus Arakasi’s use of Spiritual Energy, re-claiming a small portion of it and re-applying it directly onto Arakasi’s pool of energy whenever he casts a spell, and by extension it allows him to cast more spells with less energy than what would normally be required. the robe was originally created for the purpose of allowing himself to regulate his own power so as to not cause too much damage to his opponent, and the garment also allows for easier control over his own flow of Spiritual Energy. 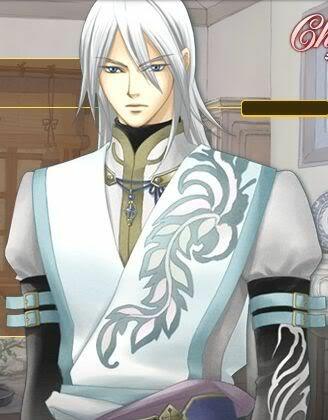 Description: The pink crystal that is on his clothing are actually shirohane. Upon release it takes the appearance of hundreds and hundreds of white feathers. Shizukeza no Tsubasa (静けさの翼, Wings of Serenity) the feather automatically move to attempt to block an incoming attack. Thus creating a 360' degrees defense, this ability has limited usefulness against close-combat though as Shinigami commonly move much too fast for it to keep up with them. Against Kidò and other Kidò based Zanpakutò in particular Elemental an Projectile ones, it is truly helpful. Hatohen (鳩円, Dove Circle) is an ability that causes a portion Shirohane's white feathers to disperse into a large circle around the desired group. Either as a way of imprisoning them, and preventing them from interfering in a battle or with Arakasi’s escape, or to lock Arakasi and an enemy in a one-on-one situation. Shirohane Keshin (白い羽毛化身, White Feather Incarnation) This is the epitome of Arakasi’s possibilities with Shirohane. Arakasi is able to channel Kidò trough Shirohane's feathers for devastating effects and he's able to use Shirohane's feathers as Catalysts for them. Hanesagi (羽詐欺, Feather Trickery) Is an ability that Arakasi uses rarely (Mainly becouse there is very rarely a need to) this causes a portion of Shirohane's feathers to shape into a desired object or person, working as a clone of sorts, Arakasi usually uses these as decoys while he himself flees from the scene. When the decoy is given a good shot by an opponent it bursts into a cascade of white feathers which then disperse into spiritual particles. Arakasi is capable of casting spells trough these, albeit they still draw energy from the main source, and their potency is reduced. Also when he comes to far away from them they will simply wither away. Description: A cube-like object about the size of the Kyūtai that Arakasi describes as his greatest invention yet. It's properties are very similar to the original concept of the Hōgyoku. With it, a being can perfect their abilities in Shinigamification or Hollowfication. It also allows a Shinigami to gain Hollow powers, thus becoming a Vizard, and an Hollow to gain Shinigami powers, thus becoming an Arrancar. It has an independent reiatsu source that if it isent destroyed one day will rival the Hōgyoku’s. When used on a regular Shinigami, it can maximize their abilities, same applies when used on a arrancar. 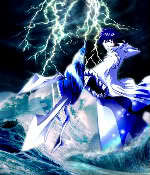 If used on a vizard however it will maximize both sides of their abilities even giving them a resureccion like espadas. Description: is a personal ability that Arakasi has being able to create cards from his kido skills and his zanpakotu abilities. He has a collection of thousands of possible cards; each card has different effects and attacks as he puts it. He is able to use these cards in battle on himself or his opponent. this is pretty much a way to cover up his zanpakotu abilities but it also is a invention giving him some new abilities. Attack Tarotokado- is the offensive type powers that Arakasi uses, when he summons a card to his hands. Then to active the cards power, once this has happened, the card will turn into energy and then what the effect of the card will become real. He has been seen to have summoned many types of weapons, spells and other types of blasts. He has been seen to have broken cards and then a blast will come out of his hand. Element Tarotokado- is a sub-class of the Attack Tarotokado in which Arakasi is able to use elements in battle. When a card is broken, the spell that was in the card will activate. He has been seen able to use most elements the only element he does not have a full mastery of is darkness which is a hard element to begin with. He can also be able to create combination of elemental attacks. Trap Tarotokado- the Trap Tarotokado are various forms of barriers and other forms that is able to either protect Arakasi, others of her choosing or trapping her opponents. By breaking the card himself or Arakasi can hide them and an opponent can destroy it. If an opponent destroys a card depending on what it is it can be from a barrier to a weapons trap such as spikes coming up out of the ground. Only Arakasi knows which is which and having a full control over this. Defense Tarotokado- The defense Tarotokado is used for defensive moves, such as shields and other uses. Once he has broken a card, depending on what is in the card many different things could happen. The most common is that Arakasi can create shields of energy around his body a thin layer where even the most skilled eyes couldn’t not see it. Illusion Tarotokado- is when Arakasi can place a card onto himself or on an opponent to create illusions. Bending the person to his will, he can go so far as creating a full working city with his illusions. Clone Tarotokado- is a sub-class of the illusion cards, which Arkasi can create clones of himself or of other things. Making them walk and talk, almost creating them to think for themselves. He has been seen to go so far as creating ten of him at once and attacking ten different people. If a clone is destroyed it will explode on defeat. Shapeshifting: Arakasi is able to capture the likeness of almost anyone perfectly, imitating their voices and appearances down to detail. But his Shapeshifting abilities are not limited to just people. He can also transform into animals or even change his shape and size as well as into forms of mist or water. his sealed zan looks like this however no one have seen it since he implanted it in his own body something that nearly took his own life. Inner World: Arakasis inner world keeps changing since his spirit use the runes to create different environment depending on what mood he is on or what arkasi is training at the moment. But most often it takes the shape of a forest of cherry blossom. Shikai Appearance: A very complicated tattoo patter that Covers his back and wraps around his shoulders and arms seemingly to merge with the other tattoo on his arms, as well as his thighs. It also wraps itself to his sides and just barely onto his abdomen, it continues down to his knees. This tattoo takes on a Silvery crimson color. the staff he carries is also covered in runes in this form. Seals/kanji: The pen is mightier than the sword this proves that the old saying is true. The kanjis are used mostly to seal away things like items attcks and even people. Unlike runes that are spoken or sometimes written kanjis are only written. And used for seals or barriers. Runes/glyphs: Using runes/glyphs to create various effects. These effects can be from simply creating a fire ball or causing time to stop in a certain area. He also uses his knowledge of runes and glyphs to make various seals that can reverse one's energy flow, seal it or in some cases cause it to turn on it's owner, or even be used as a bombs. Ritual circles: the circles are the base for his rune and ritual abilities but also posess some abilities of their own without him adding kanjis or runes to them. They are however best for support other in his team but this don’t mean that it should be underestimated in a one on one fight..
in this version he can only Create one Enchantment however its several times stronger than the other one and there is nearly no limit to how big he can do it allthough he is limited to one dome. the rules in his old enchanment applies here to the diffrence is that in this version he can also alter the surroundings. He can change the sky with the ground, the buildings with water, truly anything in his dome can be change and formed at his whim. He can form traps and give a great edge in battle.